This study examined the testosterone responses of men to an exercise bout simulating a competitive sporting effort in order to determine if the wearing of red-colored apparel influenced the hormonal response. Male subjects (n=10) were placed into sets of matched-pairs and performed VO2max cycle ergometry exercise test to exhaustion to simulate the competitive effort. Each member of a pairing was randomly assigned to one of two treatment groups—the wearing of red-colored clothing, or the wearing of black-colored clothing. Blood samples were collected before exercise (REST), an immediate postexercise sample was collected at exhaustion (EXH), and a final sample was taken at 15 min into recovery (REC) from exercise. Blood was biochemically analyzed for total testosterone. In response to the exercise, performance characteristics (i.e., VO2max and maximal workload) of treatment groups did not differ significantly. A significant increase (P<0.01) in the testosterone was observed in both treatment groups postexercise at EXH and at REC as compared to REST. However, no differences were observed between treatment groups in the before or postexercise hormonal concentrations. 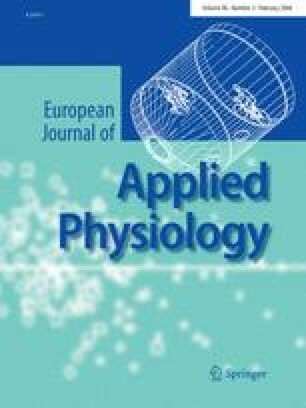 These findings suggest that the wearing of red-colored apparel had no affects on the testosterone responses to an exercise bout simulating a competition.